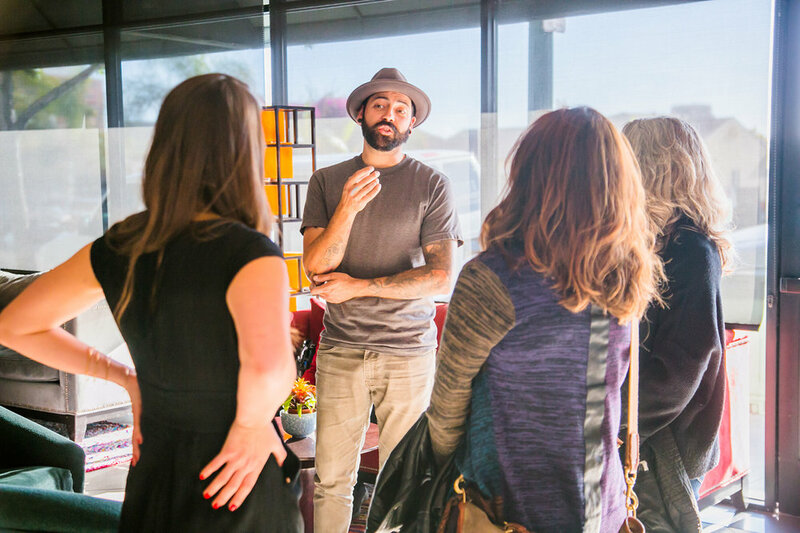 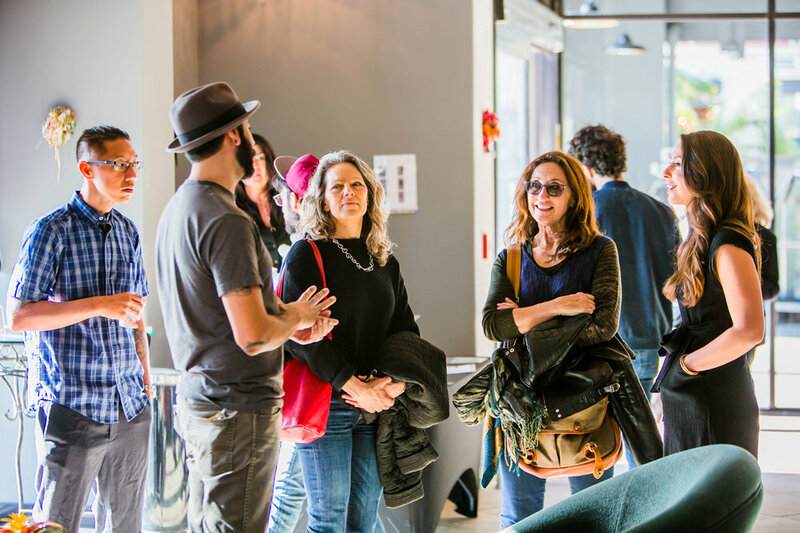 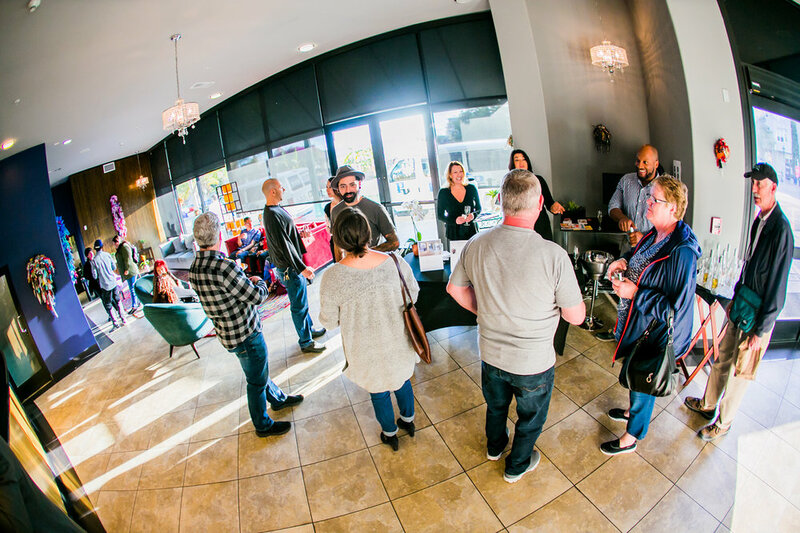 Located in the heart of Little Italy 1805 Gallery in collaboration with Porto Vista Hotel launched a one of a kind elevator exhibition "Conveyor" with local San Diego artist Daniel Barron Corrales. 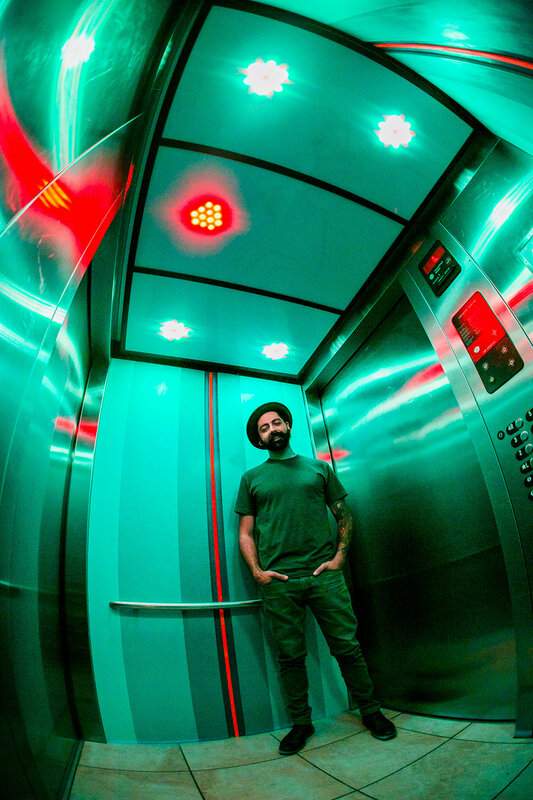 Daniel transformed this often sterile box into an inspiring multi-color space and light show. 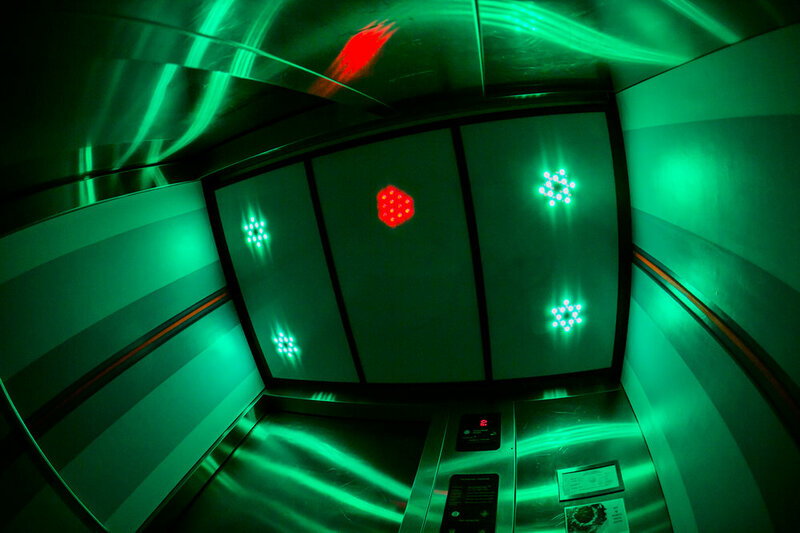 Whether you are staying at the hotel or visiting The Glass Door restaurant and bar on the 4th floor, visitors experience a truly unique elevator ride with tinted, textured and reflective materials, LED lighting expanding the constrained space of an elevator into an infinite portal. 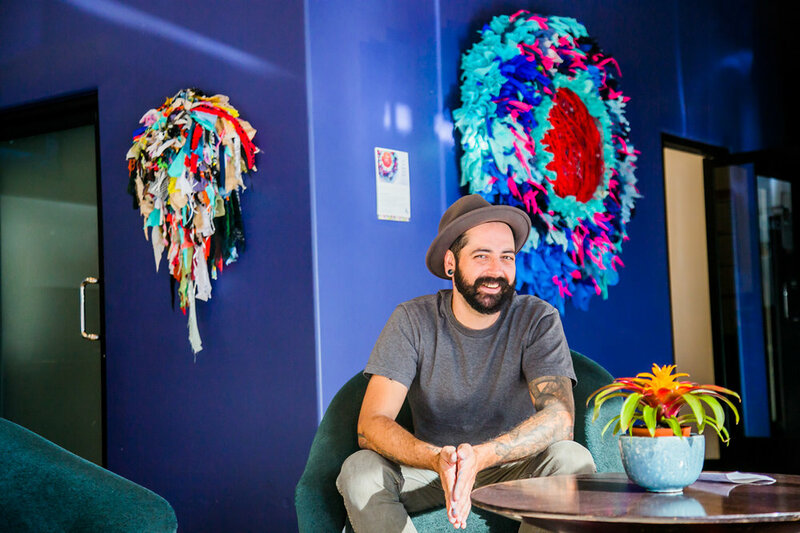 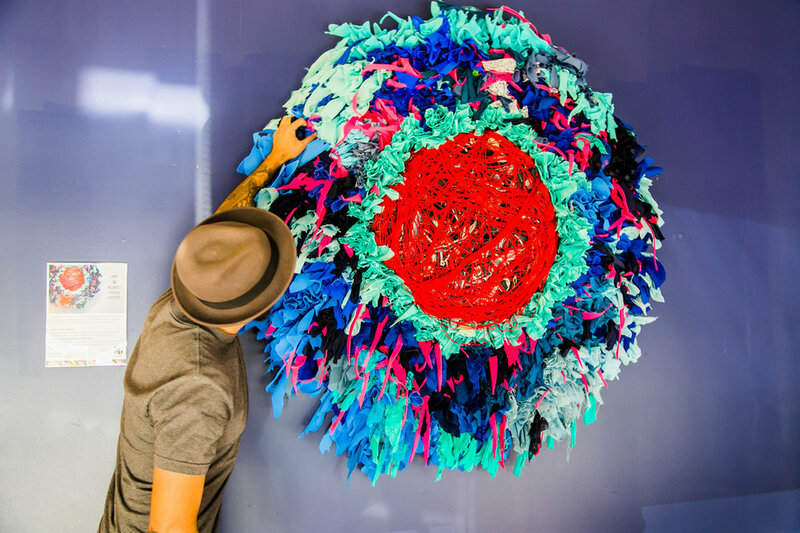 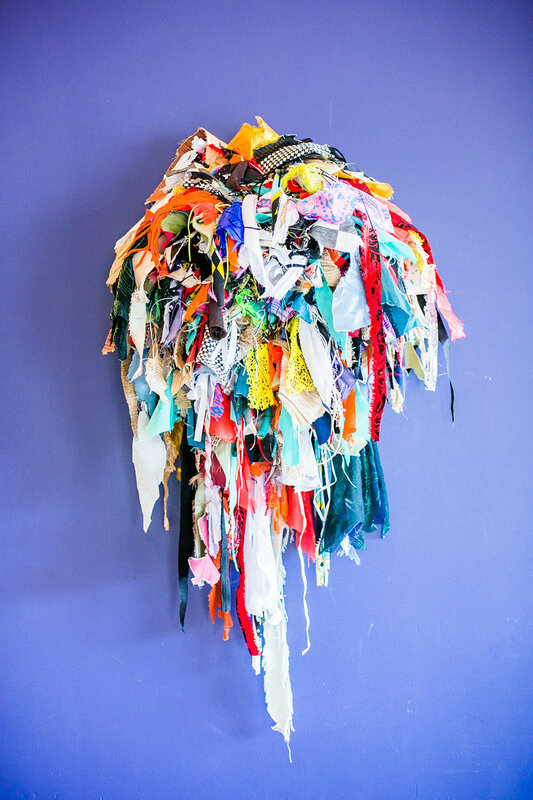 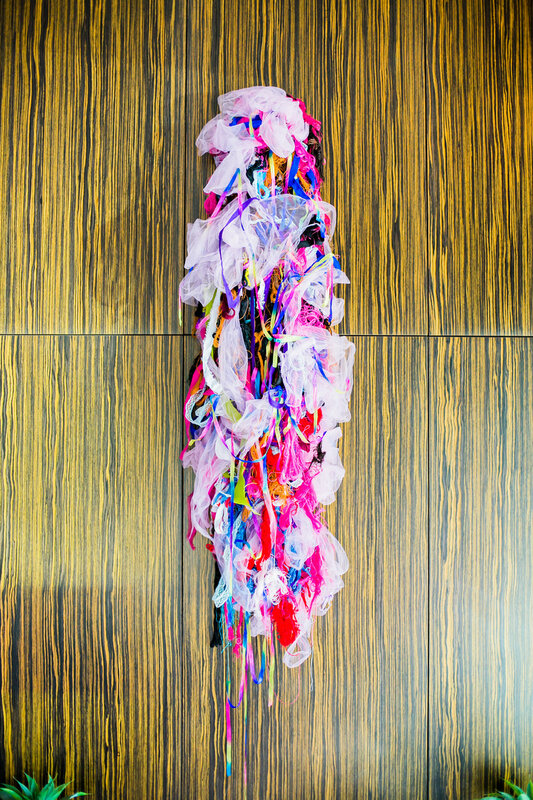 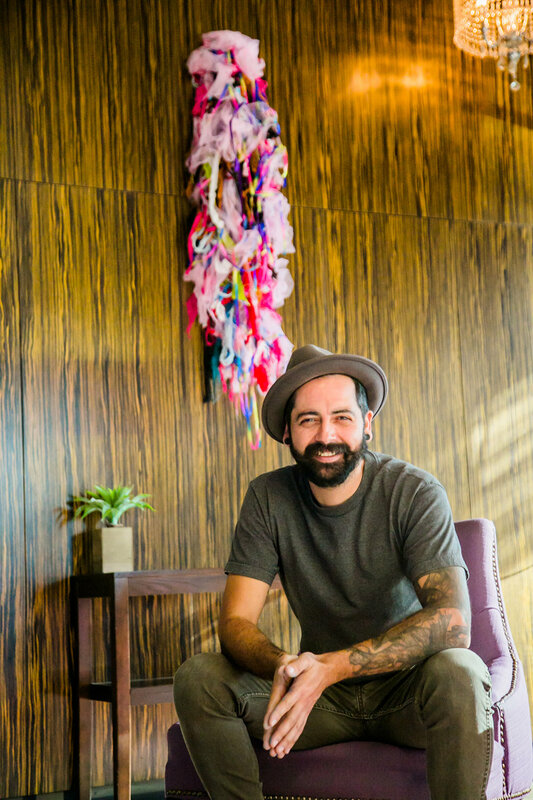 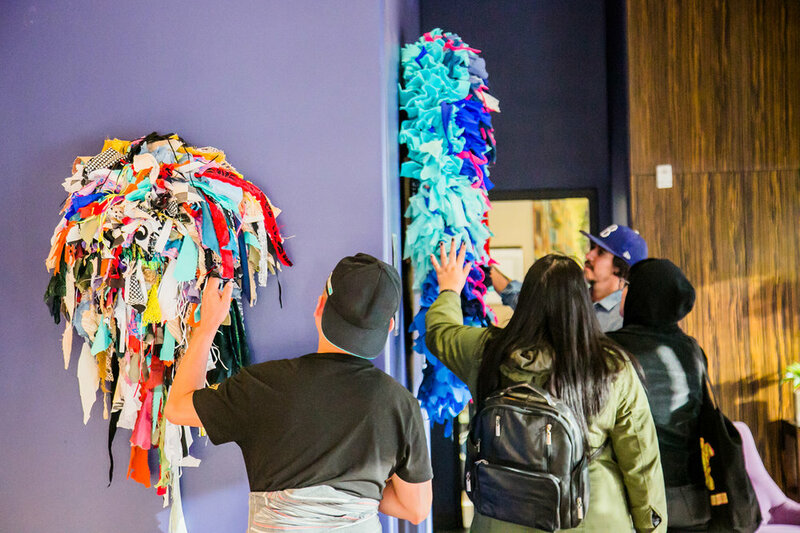 Daniel's artwork is also on display in the lobby at the hotel through July 29th with an interactive large sculpture that spins and hanging textile sculptures created from a range of materials including his personal belongings. 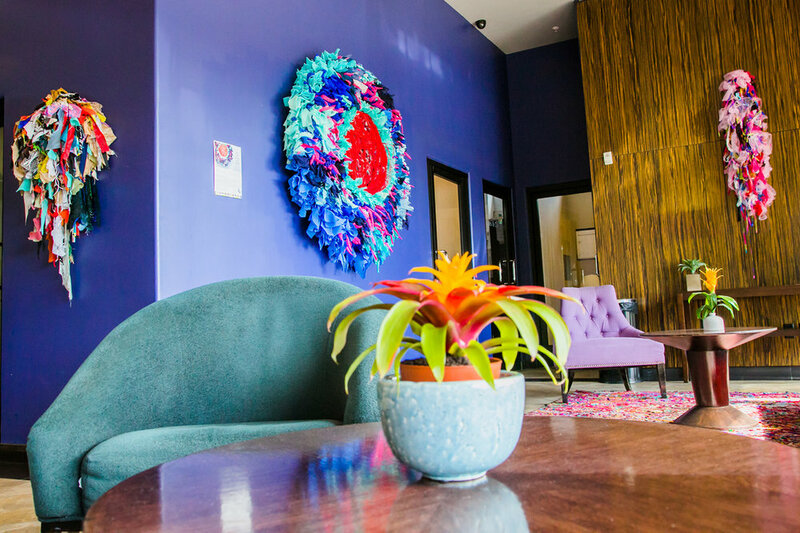 1805 Gallery is founded by artist Lauren Siry curating exhibitions, artist residencies and events that feature emerging and mid-career artists who explore unique concepts through visually stimulating aesthetics.